When Averil McDonald lost her license because of her failing eyesight, she lost a lot more than her ability to drive. Her independence all but disappeared and she felt increasingly isolated from her community. This was compounded by the fact that, not long afterward, she had two falls within a week, making it harder for her to get around town. Soon after this, Averil’s doctor recommended fall prevention physiotherapy classes and she found herself in a predicament. It was impossible to get there using public transport and utilising taxis on such a regular basis was out of her price range. 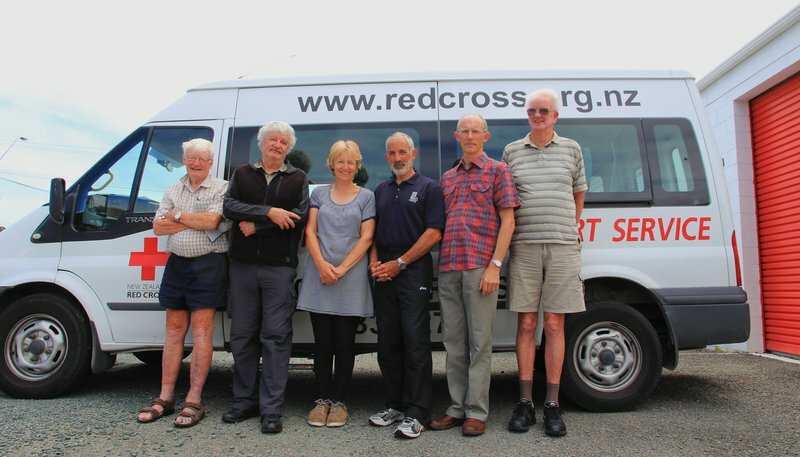 Averil began looking into other options and became aware of the New Zealand Red Cross community van which is available for people who need transportation to health and welfare appointments. The van is driven by Red Cross volunteers and the programme was created after staff saw a gap in transport options for Nelson’s mature residents. “A lot of the retirement villages here organise vans and transport for social outings, but there are very few affordable and reliable options for people needing to get to their medical appointments,” says Red Cross Nelson Service Centre Coordinator, Jackie Tye. Averil quickly engaged the services of the van and its volunteer drivers, saying that the benefits of the initiative go well beyond just transport. “It’s a door-to-door service and the drivers are excellent at balancing competing demands to get everyone to their appointments on time,” says Averil. The van is kept running by a team of 11 volunteers who get just as much out of the experience as the clients and have formed close relationships with many of them. “I enjoy driving anyway and the fact that I get to have great conversations with new people is an added bonus,” says John Davies who has been driving the van for two years. For Eric Peterson, being a volunteer driver has been therapeutic and fulfilling. He started volunteering after his wife died six years ago and he wanted to meet new people. If you, or someone you know, is interested in using the van please contact Red Cross in Nelson on 546 5012. People who use the service are encouraged to give a small donation if possible.